Overlake Oil distributes Total Lubricants in Western Washington, or specific products and availability contact us today! 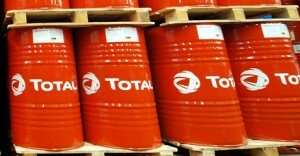 Total is the 5th largest oil and gas company in the world with operation in over 150 countries. 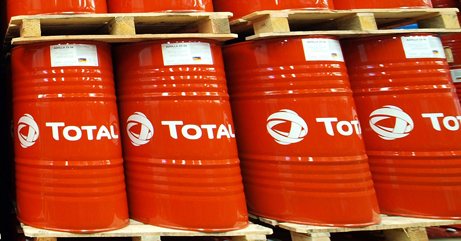 Total products are produced to meet international specifications and industrial requirements and are globally accepted as high quality, competitive products. Total Lubricants has partnerships with some of the biggest brands in the world including Nissan, Mazda, Kia, Barilla and Lafarge. Azolla ZS is very high performance anti-wear hydraulic oil designed for use in the most demanding conditions. Its components provide high protection against anti-wear insuring maximum equipment life. Azolla ZS is formulated to offer superior thermal and oxidation stability and remarkable filterability even in the presence of water. Available in 10, 22, 32, 46, 68, 100 and 150 ISO viscosities. Total Nevastane Clear is a high quality NSF H1 and 3H white medicinal oil used in applications such as dough dividers, pan and mold releasing and as a general lubricant. This colorless, odorless, tasteless and non-staining oil has great dispersion and exceptional wear protection. Nevastane clear is available in ISO viscosities 15 and 68.